Segment 1: "Introduction to Google's PageRank algorithm" from "The Random Surfer" by Tim Chartier on Vimeo. Source: The top three search engines. What do you do when you want to find a restaurant in your area? Or when you need a boost on a homework question? Or if you want to research a new place you'll be visiting? You turn to your favorite Internet search engine, of course. 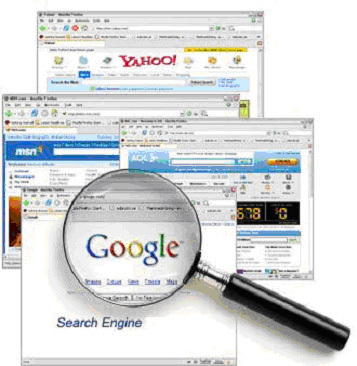 Have you ever wondered how search engines actually retrieve the web documents you need? The answer is mathematics. These days we take search engines for granted, but there is a lot going on behind the scenes each time you enter a search query into your favorite search engine. The role search engines play in organizing the massive amount of information on the gigantic World Wide Web is fundamental. The picture below represents all the webpages in the universal web, which contains only webpages that can be accessed via hyperlinks; each line in the picture represents a link between two webpages. 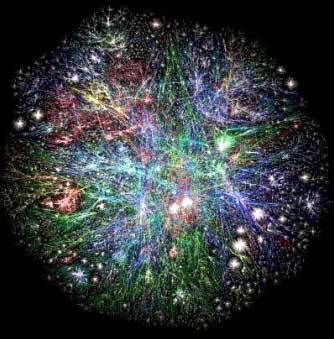 Now that we have a better idea of just how messy, complicated, and expansive the Web is, how could we possibly organize it in a way that will help us find what we need?